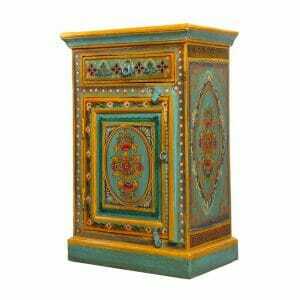 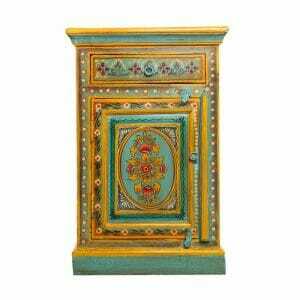 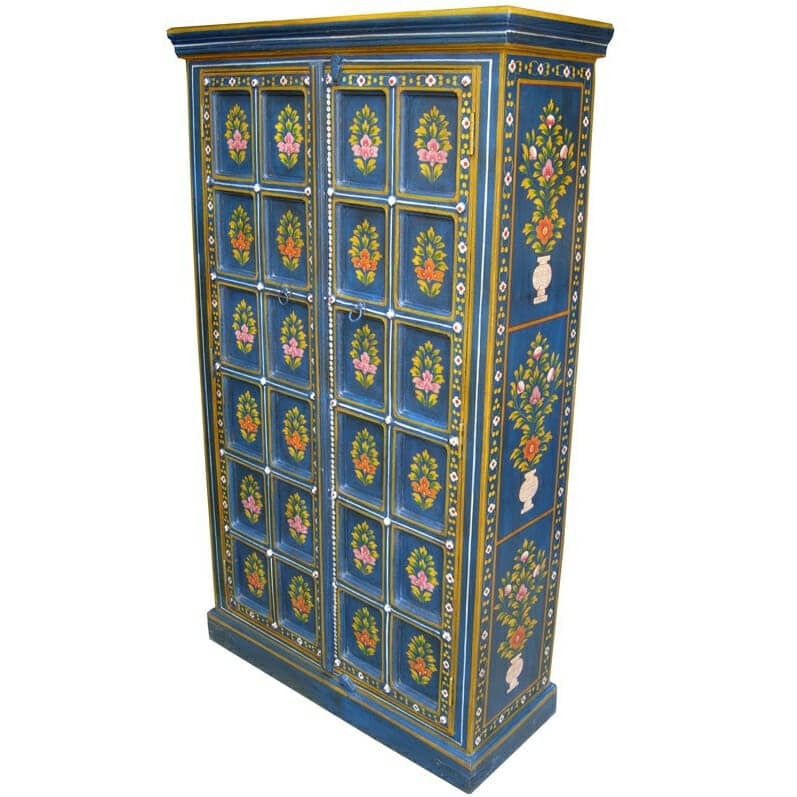 Exquisitely decorated with hand-painted floral designs, this Indian blue vase panel cupboard makes a gorgeous and exotic addition to any home. 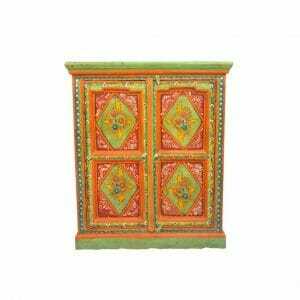 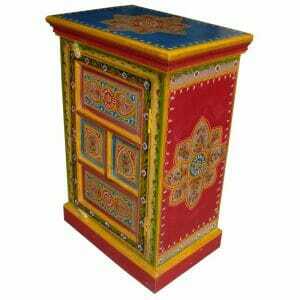 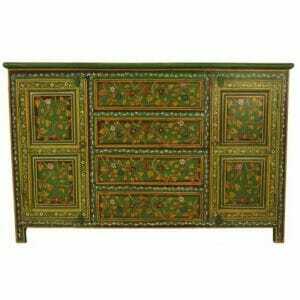 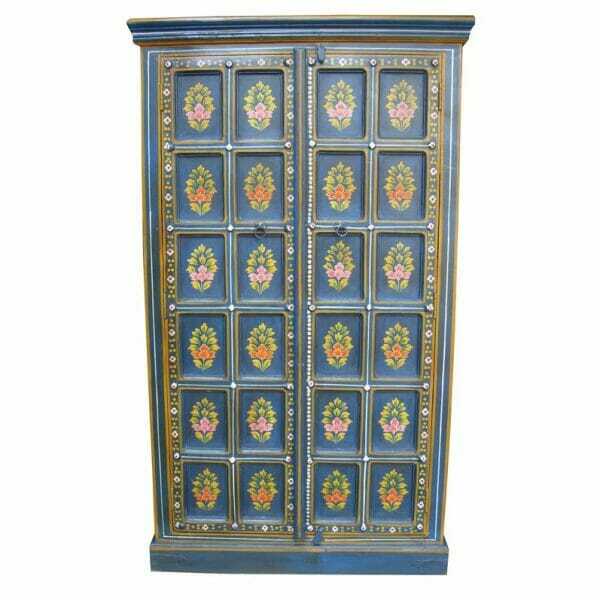 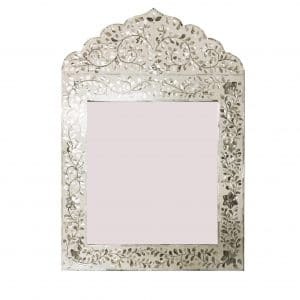 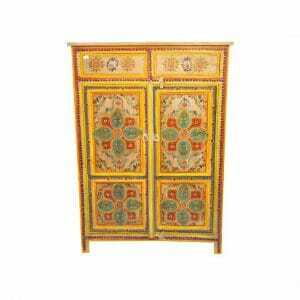 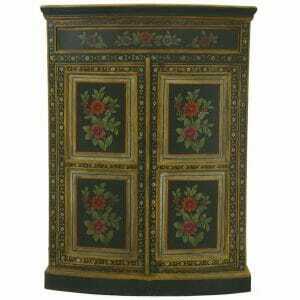 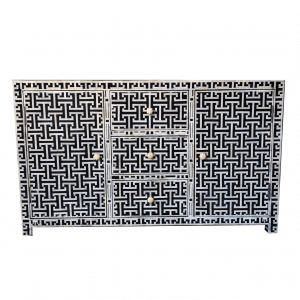 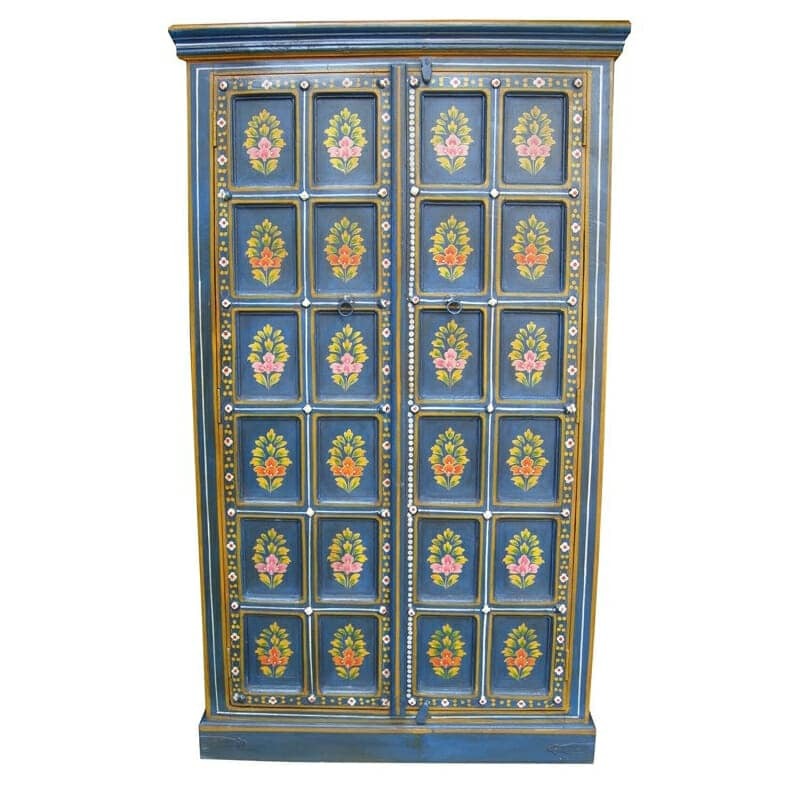 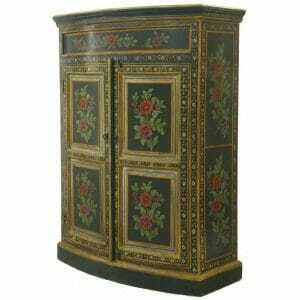 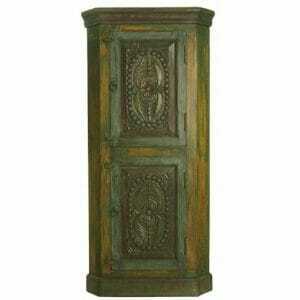 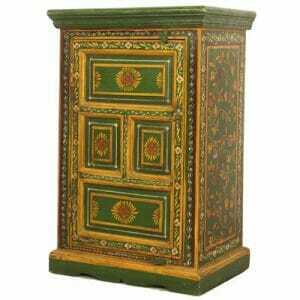 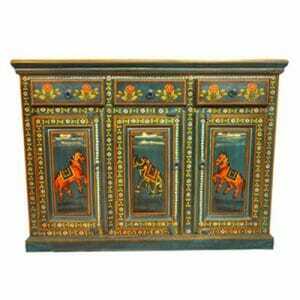 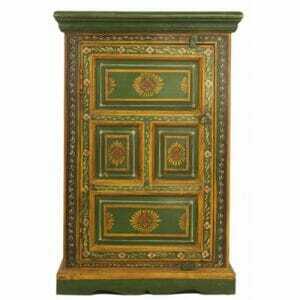 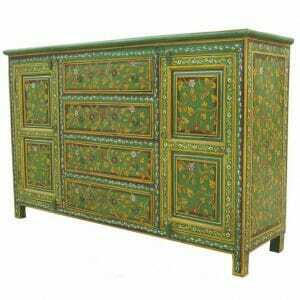 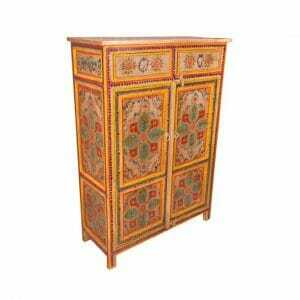 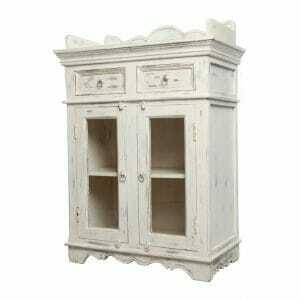 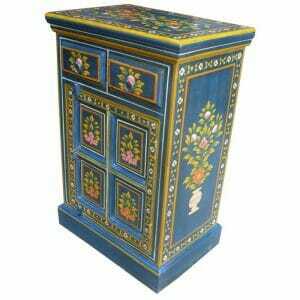 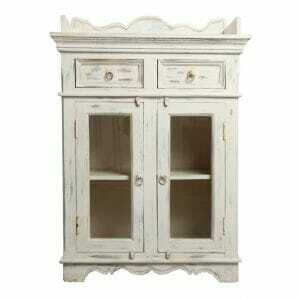 This item is especially unique in that both the outer and inner doors are painted with beautiful designs. 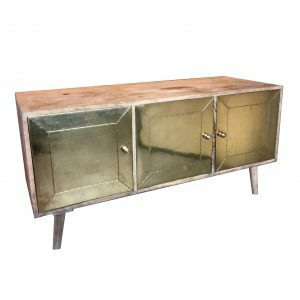 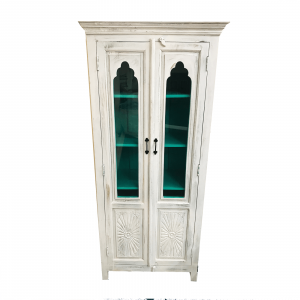 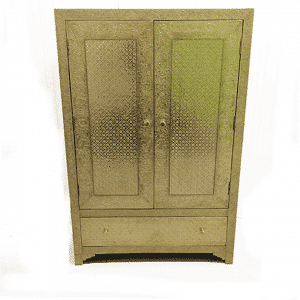 Stocked with four large shelves, this cupboard is also a wonderful storage unit, perfect for stowing away linens, towels, clothes, or other large items. 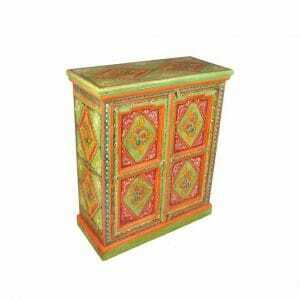 All of our painted Indian furniture items are hand-crafted from mango or sheesham wood by our artisan woodworkers in Rajasthan, making each piece one of a kind. 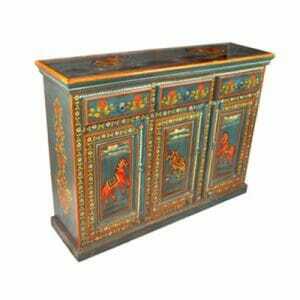 Our craftsmen are taught from a rich history of traditional Indian woodworking, and each piece they create evokes the exotic palaces and boutiques of Rajasthan where furniture like this can still be seen today. 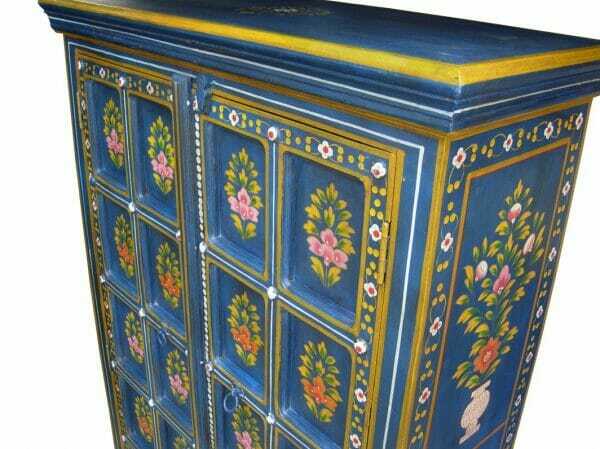 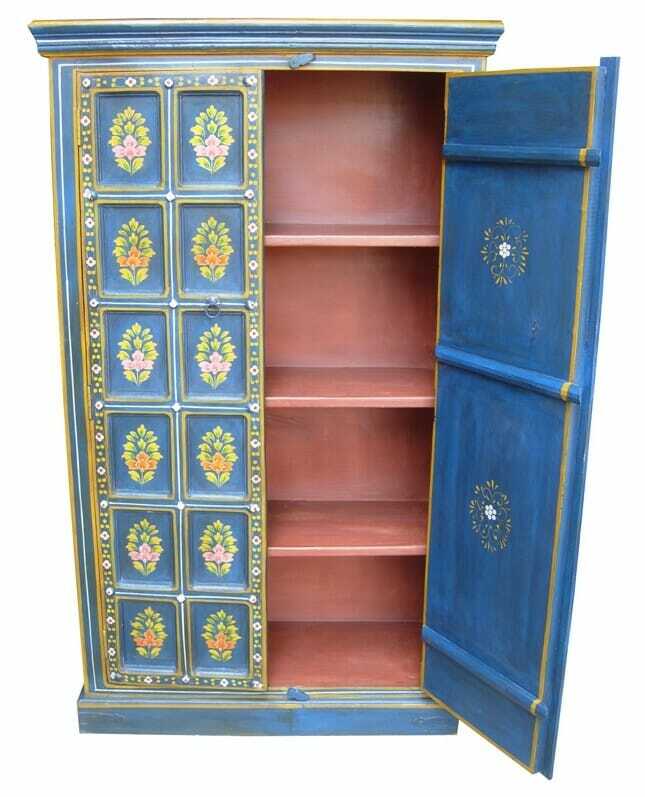 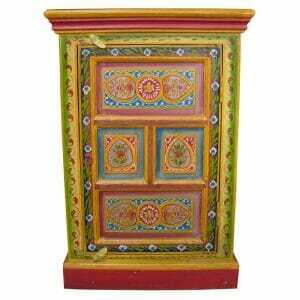 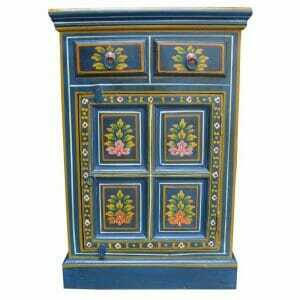 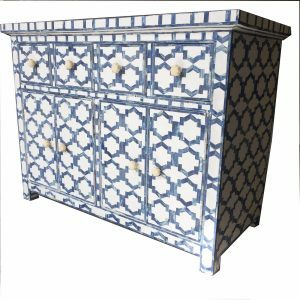 This blue vase panel Indian cupboard is but one of our wide selection of hand-painted, traditional Indian furniture, which comes in a nearly unlimited range of colours and designs to suit any decor. 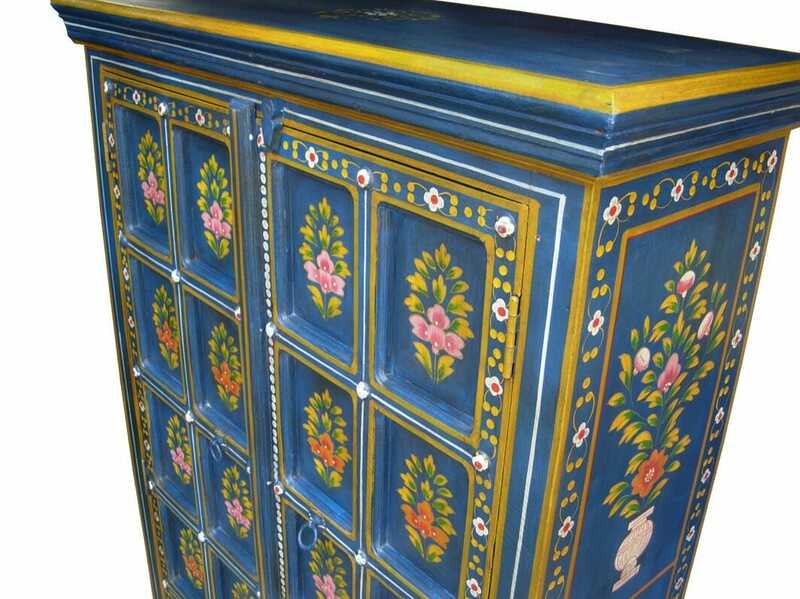 If you cannot quite find what you’re looking for, please let us know. 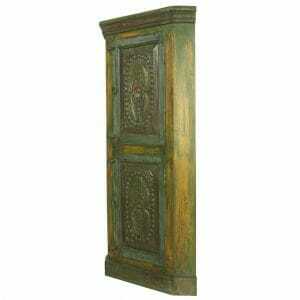 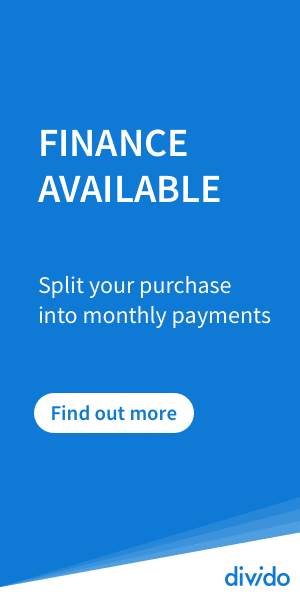 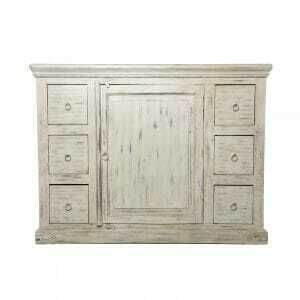 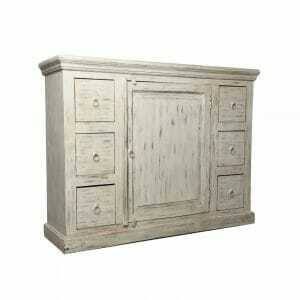 We are always happy to provide free quotations for custom orders. 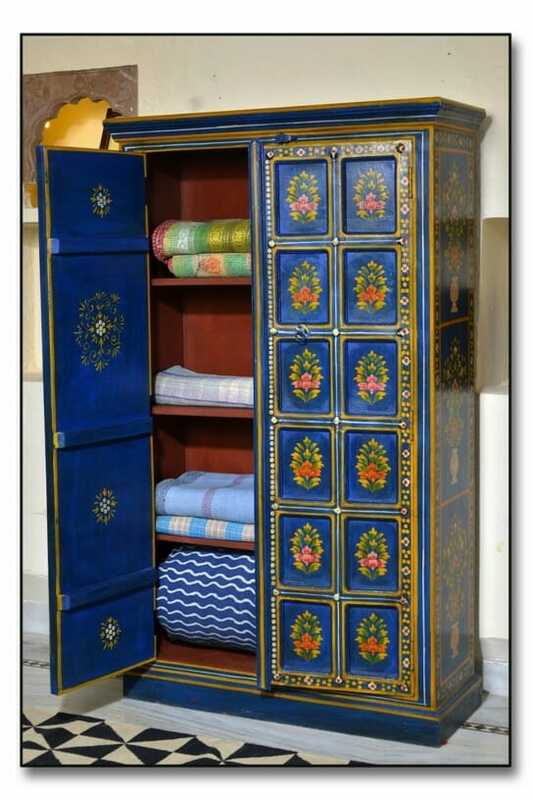 Iris Furnishing is particularly proud to uphold strong ethical and fair trade commitments. 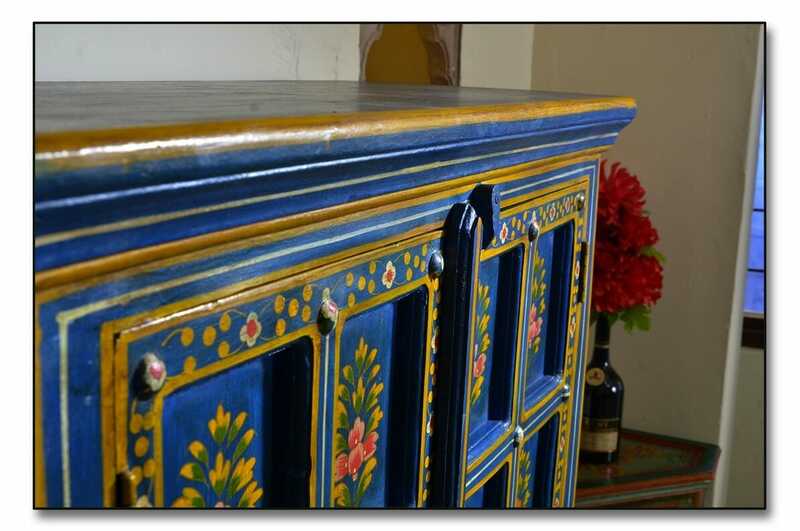 As part of honouring those commitments, we travel regularly to the Rajasthan region to meet with our craftsmen and suppliers and develop strong relationships with everyone involved in our business. 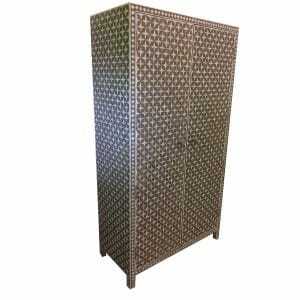 This also ensures that we can maintain our high standards of quality while passing down savings to our customers.